Hello, horns. 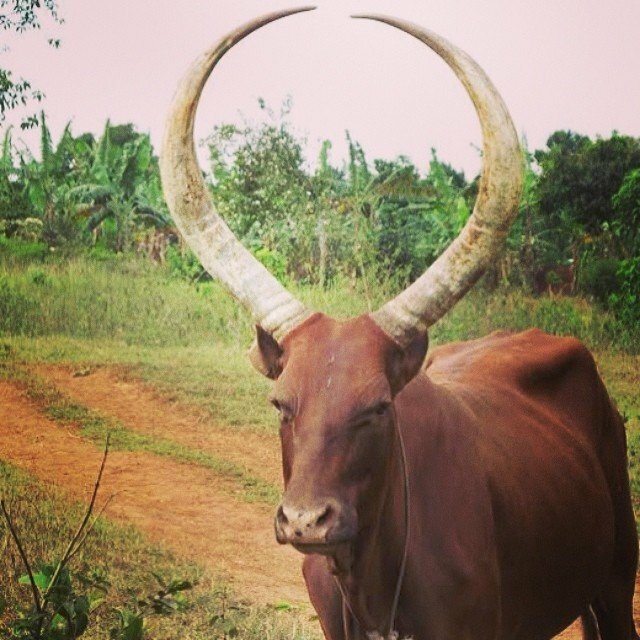 This is an Ankole-Watusi, a breed of cattle native to Africa. They can weigh up to 1,600 pounds and reach 8 feet in height. This particular beaut was seen in Uganda by Douglas Cruickshank, who documented his experiences in the country in "Somehow: Living on Uganda Time," a stunning collection of essays and intimate, powerful photographs.